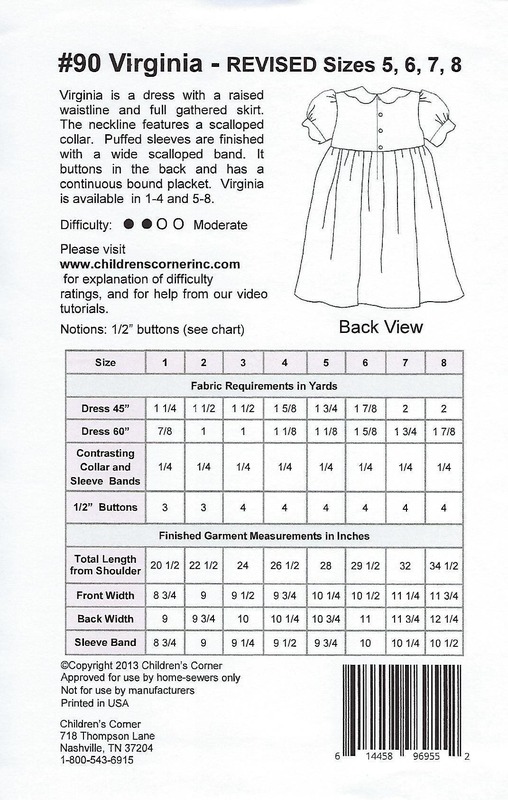 VIRGINIA is a dress with a raised waistline and full gathered skirt. 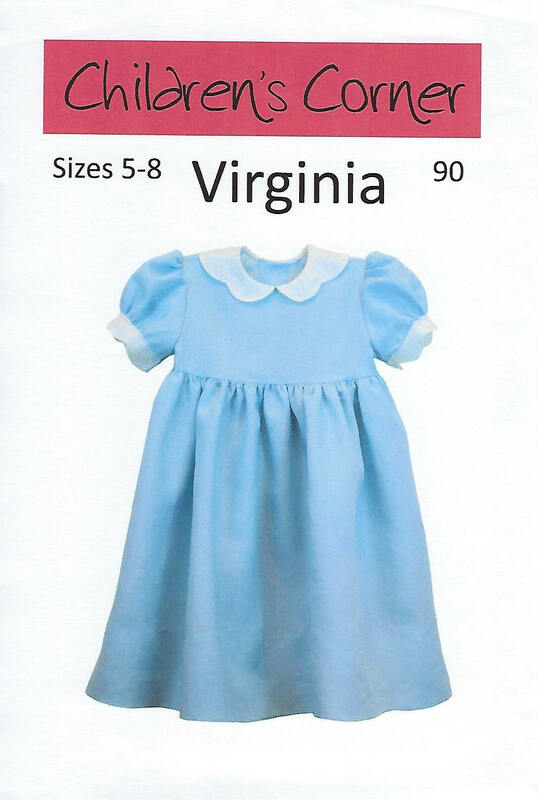 The neckline featurs a scalloped collar. Puffed sleeves are finished with a wide scalloped band. It buttons in the back and has a continuous bound placket.